Sectional doors, as the name implies, are made up made up from separate sections rather than single panels. This allows for exceptionally smooth operation, both manually and when electrically operated. All sectional doors are available with attractive window options. They are available in clear or crystal finishes. Sectional garage doors have remained a popular choice for homeowners since they first arrived on the market, and it’s easy to see why. By opting for sliding garage doors broken down into individual sections, the result is a mechanism that allows for much smoother opening and closing than the traditional up and over the alternative. 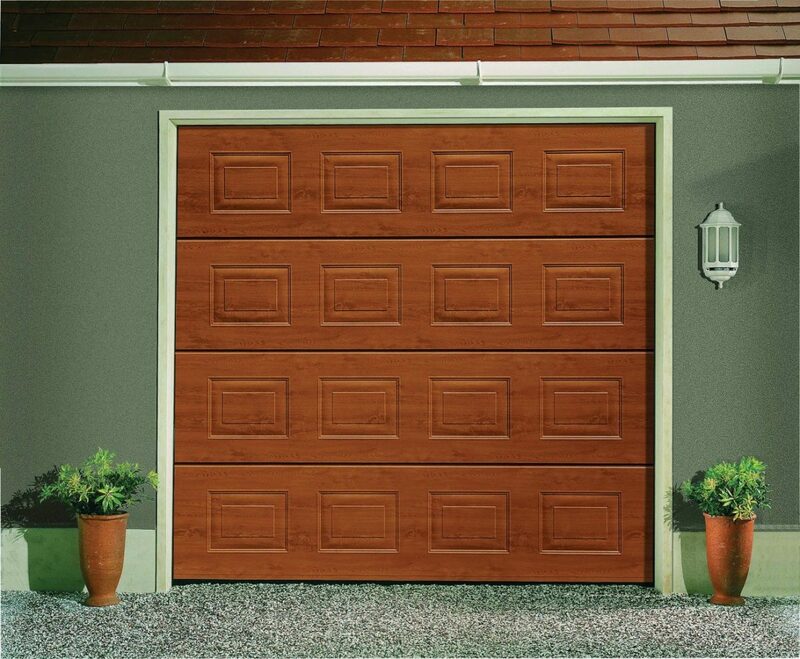 This efficiency of operation, however, is just one of many benefits offered by garage doors in this style. 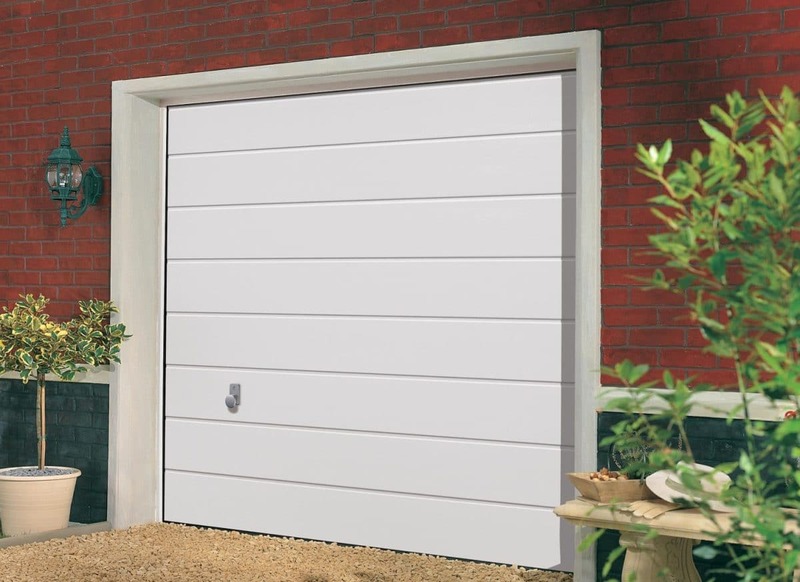 We supply and fit sectional garage doors throughout the Bristol and surrounding areas in the South West of England such as Gloucester, Cheltenham, Stroud, Clevedon, Portishead and Nailsea. We also offer a same day garage door repairs service across the South West of the UK. As the sliding garage door is composed of a number of smaller independent sections, each hyper-durable (resistant to bending and twisting) and weatherproof piece can be individually insulated for maximum sealing. When this is combined with the aforementioned framework approach the result is a tighter seal that offers a much greater degree of thermal efficiency than the more conventional alternatives, leading to real savings on your energy bills. 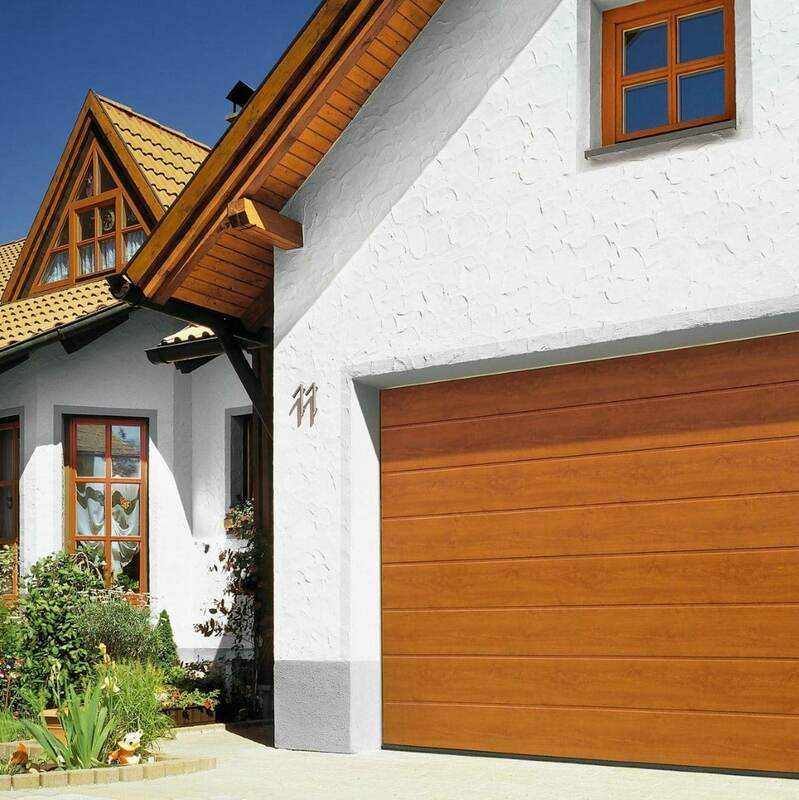 Whilst up and over garage doors offer very little in the way of security, owners of sectional garage doors can sleep much more soundly at night knowing that their garage is safe. All of our motor-driven sectional doors have been TUV tested to ensure ultimate peace of mind for you. All components are constructed from robust steel to offer maximum protection against intruders, and all remote controls are built to be absolutely tamper-proof. 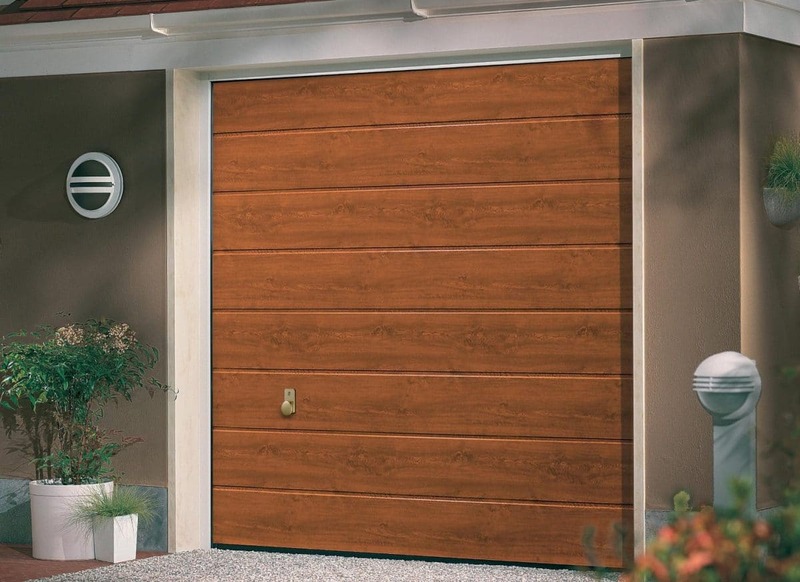 With sliding garage doors from Abacus, nobody is getting in unless you let them. 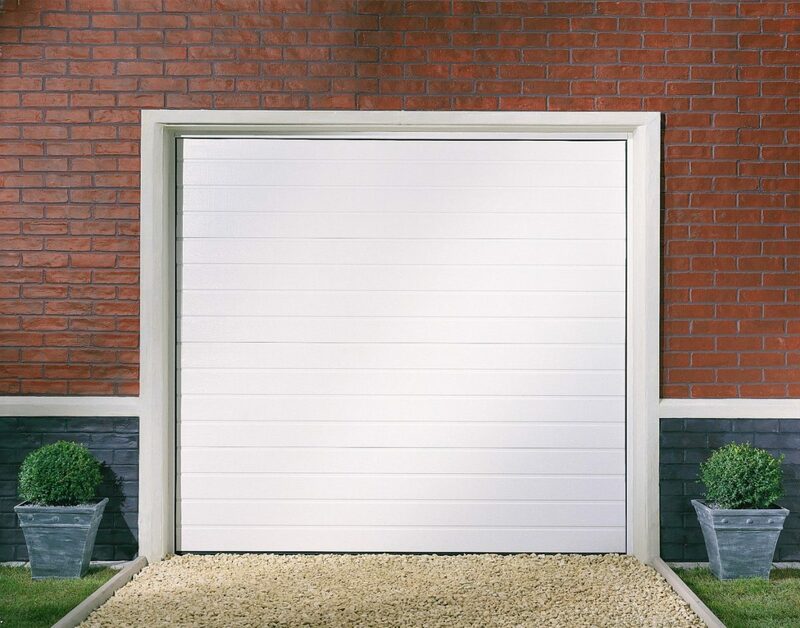 With widths between 6ft 10 and 25ft, heights between 6ft 6 and 8ft, and a variety of colours and designs to suit any home aesthetic, Abacus are the premier provider of bespoke garage door solutions across the Bristol area. If you’re in any doubt at all, just drop us a line for a quote today – you’ll be amazed at just how much we can help you.